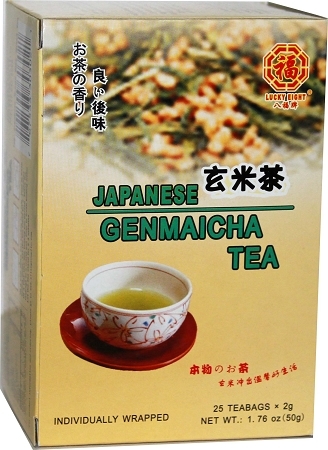 Genmaicha is the Japanese name for green tea combined with roasted brown rice. 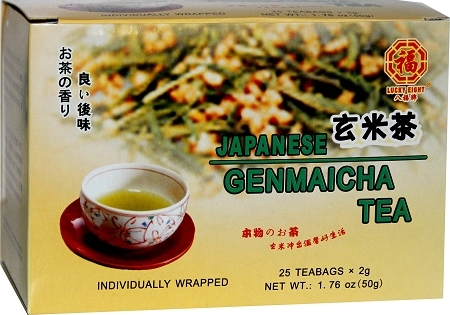 This is a specialty Japanese green tea that is blended with fire-toasted rice. A good grade Japan sencha is blended with the toasted rice. The fresh vegetative character of the green tea is imparted on the cup but it is tempered with the bakey-like character of the rice. There is a natural sweetness and almost chewy character to the finish of this tea.